In 1998, plastic surgeon Dr. W. Geoff Williams traveled to northern India to perform free surgery. His second patient on that mission was a 26-year-old man with a severe cleft lip that had never been treated. Dr. Williams, dismayed that anyone would have to suffer for so long with such an easily-correctable deformity, was shocked further when he learned that the patient and his father had traveled all the way from Nepal after hearing of an American doctor coming to operate for free. After the successful surgery, the man, paradoxically, seemed expressionless, prompting Dr. Williams to ask the father if his son was happy. The father, having sought in vain for 26 years to find treatment for his son, became emotional and explained that his son was actually very happy but had learned to not smile because when he did, his cleft lip opened even wider for the world to see. This patient opened Dr. Williams’ eyes to the all-too-common problem of children in the third world having to live with correctable deformities due to a lack of resources-- and the tragic effect on their lives. Subsequently, during Dr. Williams’ 5-year faculty appointment as Assistant Professor of Plastic Surgery at the University of Texas Medical Branch Medical Center, he continued his volunteer work by donating his surgical expertise in poor countries, at times using his vacation time and paying his own way. Feeling that his efforts were not quite enough in fighting a problem that was too large, he left all practice in the United States at the age of 47 and began volunteering full-time, financing his work largely out of his own savings. Since that time, Dr. Williams has served an average of sixteen surgical missions per year in eight countries. 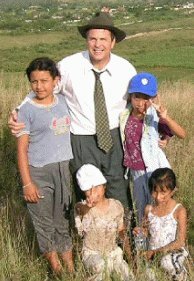 Realizing that his work was too vital to not carry on, Dr. Williams, in 2005 created the International Children’s Surgical Foundation to support and sustain the work of changing the lives of third world children---children that would otherwise be confined to lives of seclusion and shame. He furthermore has recruited a wide array of specialists trained in treating childhood deformities including orthopedics, ear-nose-throat, maxillofacial, burns and neurosurgery. Dr. Williams’ vision has now become ICSF’s mission, which is to provide free corrective surgery to poor third-world children suffering with correctable deformities—and to exponentially magnify this effort by teaching and training the doctors in these countries to adequately care for their own patients and train their own students. We at ICSF hope that you will catch a glimpse of our vision and imagine the scores of third world children we have been able to reach—as they run, play and smile with their friends, as children were meant to do. PLEASE JOIN US IN OUR BELIEF THAT “EVERYONE WAS BORN TO SMILE”.